I stream videos from a local server while I work out on the treadmill. I have limited time, and I want to spend it sweating and not messing around while Windows 10 downloads yet another update, or Plex can't find my movies, Amazon Fire can't connect, or WD Live Hub trues to find my server. I finally found the right combination. WD Live Hub doesn't have endless updates and is simple to use, and WMS server is always there, serving up exactly what's on my Windows 7 file system with no disruptive updates. Before installing ran MS virus checker. No problem there but it reported package contains almost 20,000 files! Even if it works great that is a big price on a limited HD. Finally, I found something that actually works. 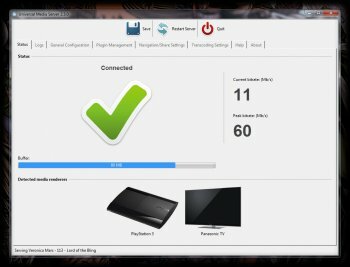 I have been looking for a way to stream movies, recorded TV, videos, DivX, etc, from my Windows 8.1 home-built to my Sony in the living room and this does it. I've tried everything from Plex to Windows Media Center and this is the only thing I found that streamed everything. I'm kinda new at this but it only took a couple attempts setting it up to get everything working like I wanted. Great program and definitely worth a donation. I downloaded it, installed it and went through the wizard setup. I added the shared folder with all my media; it doesn't do anything but report to Windows Media Player that it can find UMS; no media is displayed or accessible. Restarted with reiteration checking to see if things were working. The web interface listed some media, but nothing happened when I double-clicked on the items. 2 for now until performance and things start working. 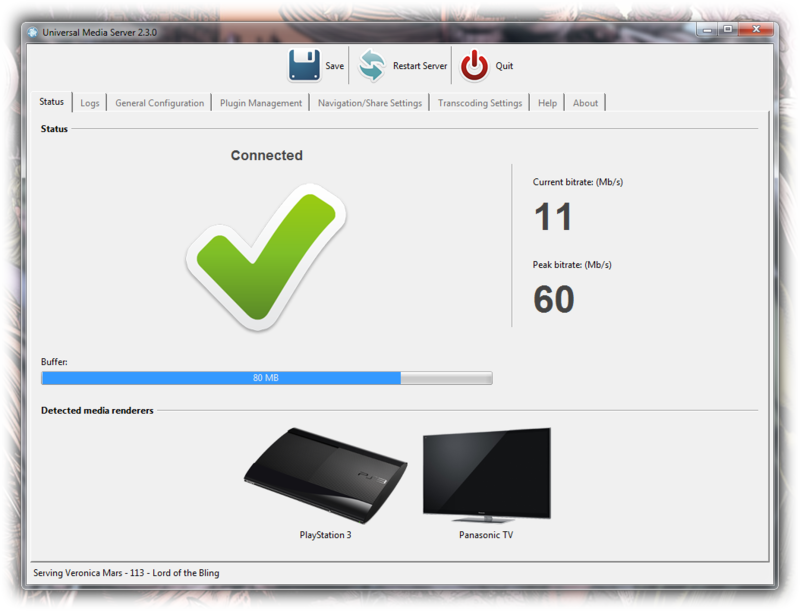 Interface is nice and the effort seems to be there, but nothing yet.